Celebrate Chinese New Year at the Dorchester with a specially designed afternoon tea with a twist. Enjoy especially themed Chinese hot appetisers including Dim Sum Su Mei, Prawn on Toast, Vegetable and Mushroom Spring Roll, Prawn Ying-Yang and Taro Dumplings. The afternoon tea pastries will also have Chinese influence and include Mango ysu rolls, Red beans black sesame slice, Green tea chocolate delice, Lotus flower mandarin tower and Peanut and pear fortune cookies. 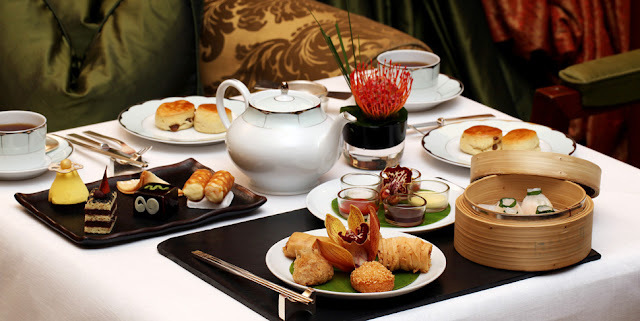 The Chinese Afternoon Tea will also include a traditional Chinese act.